When you’re preparing for moving house in Hither Green, Se12, there’s nothing better than having the help of experienced house movers. Moving Service is one of the best removal companies in town when it comes to services such as man and van hire, furniture or office removals Hither Green and more! Our company specialises in a whole host of professional removal services, and with our help you can relocate the hassle-free way! Our teams help lots of people with their moving needs, and with just one phone call you can say goodbye to all of your moving day worries and concerns in Hither Green! To find out more just pick up the phone today and dial 020 8746 4402! It’s no secret that moving is incredibly expensive and with everything from packing materials to agency fees to worry about, the last thing that you need is to face hidden costs from your removal company. If you hire our teams of dedicated movers London then you won’t need to worry about the price of your removal van or other such services, as we have some of the best prices in the area! Our competitive costs are sure to suit your budget, and no matter what it is you’re looking for from your moving company we’re more than ready to help you! It’s not just moving to a new house that our company can help you with – we also specialise in office services as well! We have the knowledge and experience needed to provide you with the high-quality business removal help that you need, and with our low prices we’re the perfect choice for your business or office! From carefully moving your office equipment to efficiently moving so that you can get back to work, you’re going to love using our office move service! 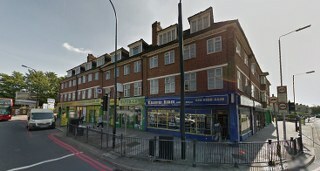 This is an area in South East London, in the London Borough of Lewisham. It boasts a lovely array of Victorian houses and buildings that are a real joy to see, and it’s this fantastic architecture that makes it a much sought-after place to live. There is a lot to be offered, with a great sense of community and a village-like feel that’s rarely seen nowadays. There are lots of parks to be explored in the area, including the wonderful Mounstfield Park and the nearby Manor House Gardens, which attracts a lot of attention thanks to its stunning beauty. St Swithun’s Church can’t be missed, as it’s a fantastic example of 19th Century architecture, as well as the Corbett Estate. It has been home to a lot of famous faces, including actor Jude Law and actress Gladys Cooper. With excellent transport links and direct lines straight to the West End, this area is nothing short of an amazing place to call home. Do You Want Professional Hither Green Moving Services for Your Moving Day? We’re the Best Company in Town for Your Moving Day! Hiring Moving Service is a great decision for your moving day in Hither Green, SE12, as our teams will help you with your moving worries so that you’ll have nothing to be concerned about. With a fantastic range of available services, competitive prices and with our talented and friendly relocation experts, your only wish will be to have been hired us sooner! Get in touch now to find out more by giving us a call on 020 8746 4402!